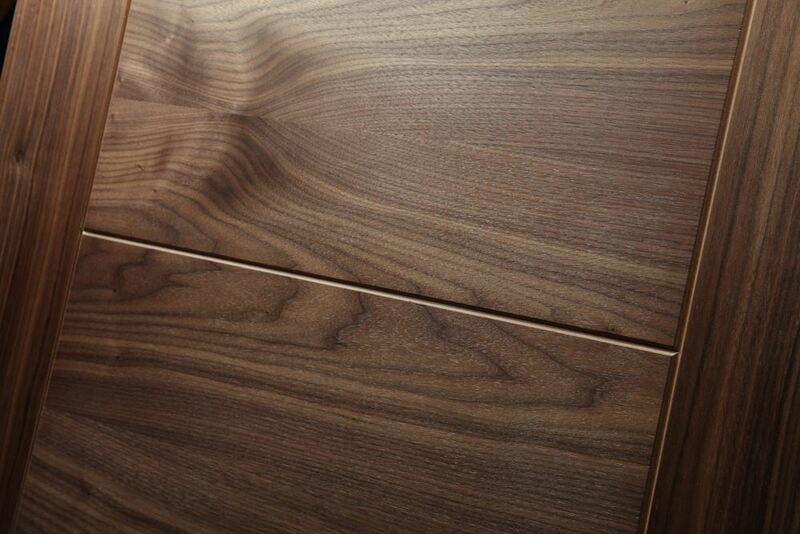 American Black Walnut veneer, factory finished in clear satin lacquer with colour matched v-groove detail. The B4500 range is available in a wide range of sizes including, standard, glazed, fire rated and fire rated glazed versions. The Iseo Prezzo B4500 Walnut door is part of our Essentials range of products that offer great design and quality, engineered and purchased by us in volume to bring you a fantastic design at an unbeatable price. The core on these doors is semi-solid but still retains a weighty and substantial feel. Featuring solid Walnut lippings and a Walnut veneered over an HDF panel, the faces are then V-grooved directly into the panel which is then colour matched to create a great looking door. As with all doors within the Iseo Prezzo family, it is fully finished in a clear satin lacquer. 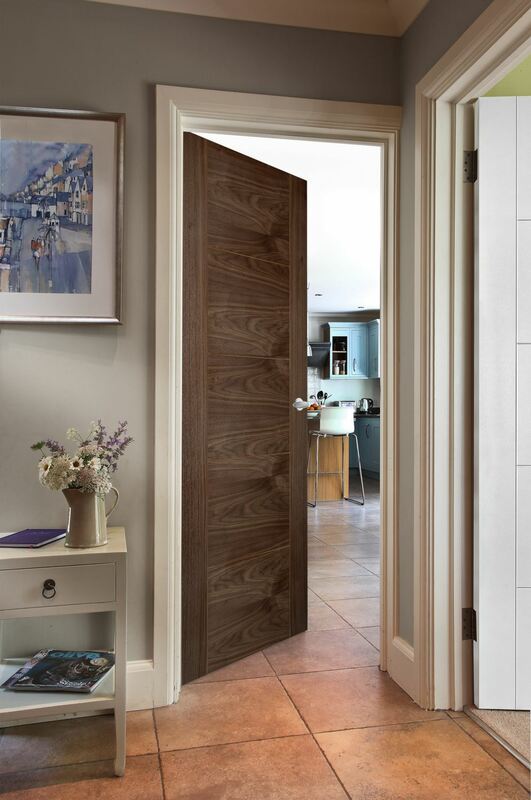 One of our best selling Walnut veneered doors, the Iseo Prezzo Walnut is constructed with a semi-solid core that still retains a weighty and substantial feel. The method of construction creates an incredibly stable and durable product that will last many years. Generally available from stock in the most popular sizes, unfortunately we are unable to offer special sizes or bespoke doors in this model. The glazed B4514 model is readily available to complement the solid door as well as a 44mm Fire-rated (FD30) version.